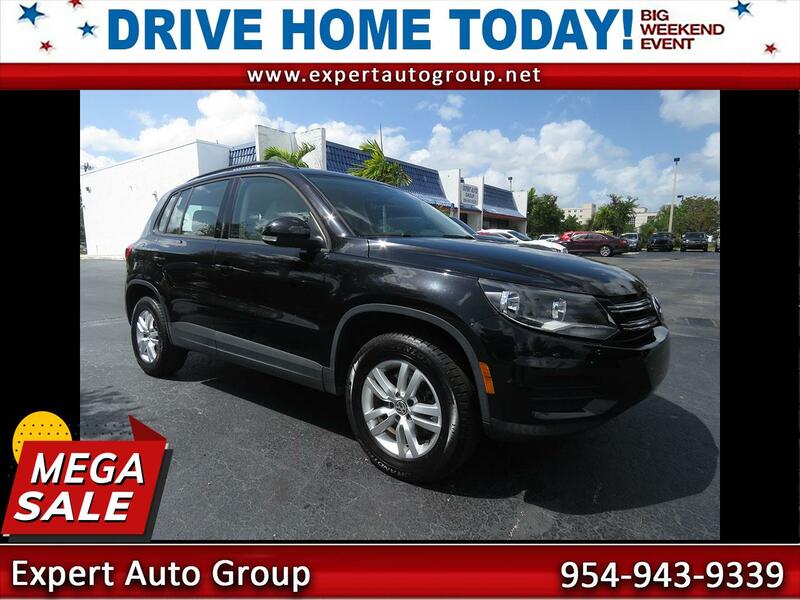 This 2016 VW Tiguan S 2WD is a fun-to-drive compact Crossover SUV that comes with a long list of comfort, technology and safety equipment. This one is in excellent condition inside and out, and it runs and drives like a new car. Carfax shows just one previous owner and no accidents or any other problems. ...and a lot more, including front, side, and curtain air bags, ABS and stability control. Its powered by a 200 hp 2.0-liter turbocharged motor that combines performance and fuel efficiency. Ratings are 200 hp, 207 lb-ft of torque and 21/26 mpg. The Tiptronic transmission is an automatic that you can shift manually if you choose to - when you want a little more control. A SUPER nice Tiguan S. Come by for a test drive if you can or call us if you have any questions.